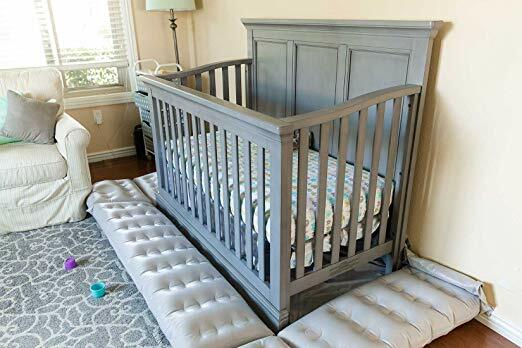 Crib manufacturers do their best to protect your baby, but the biggest threat to your baby’s safety is on the outside. DreamCatcher gives you peace of mind. 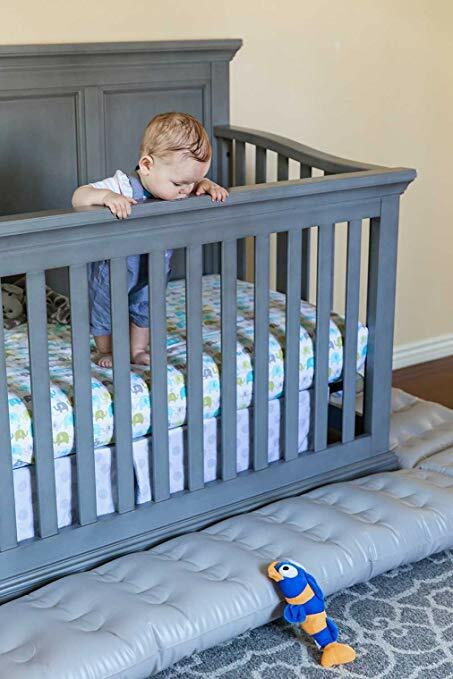 What’s more, DreamCatcher doesn’t restrict your child to their crib, but provides a softer place to land for curious, adventurous little ones. 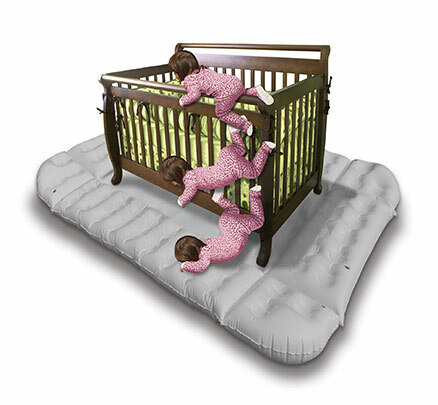 Crib manufacturers do their best to protect your baby, but the biggest threat to your baby’s safety is on the outside. DreamCatcher gives you peace of mind. 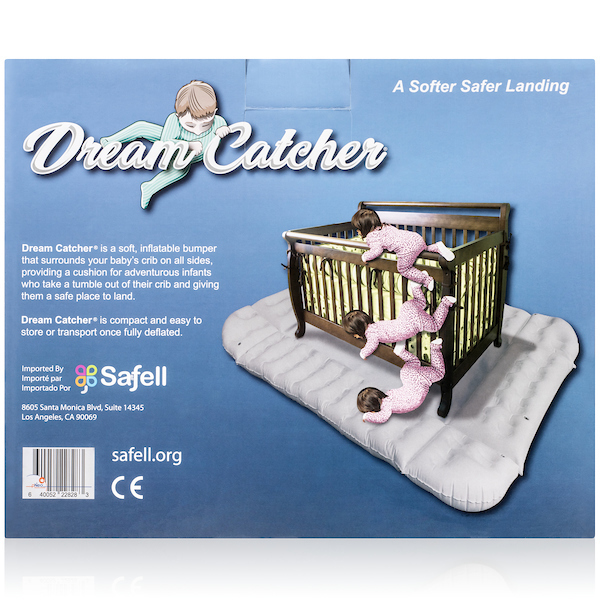 What’s more, DreamCatcher provides a softer place to land in the event that your child chooses to climb out. 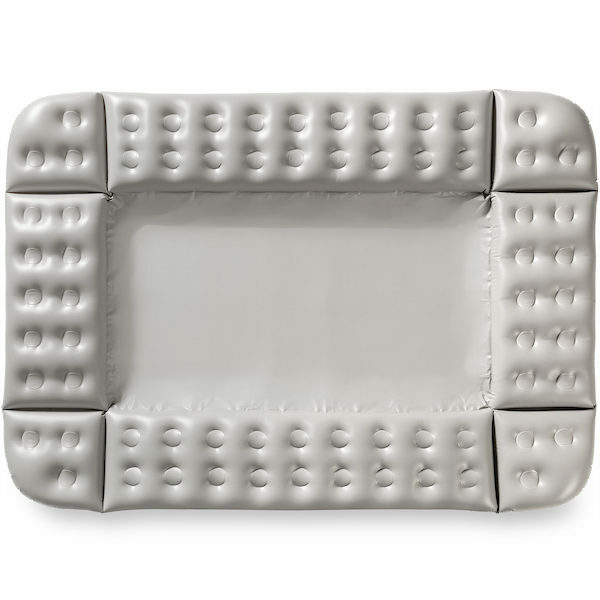 The unique design configures to any nursery layout, whether your crib is against one wall, two walls, or is placed in the middle of the nursery, with eight sections that are easily inflated. Simply place the DreamCatcher on the floor under your crib in the center flat section, and inflate the sections you need. 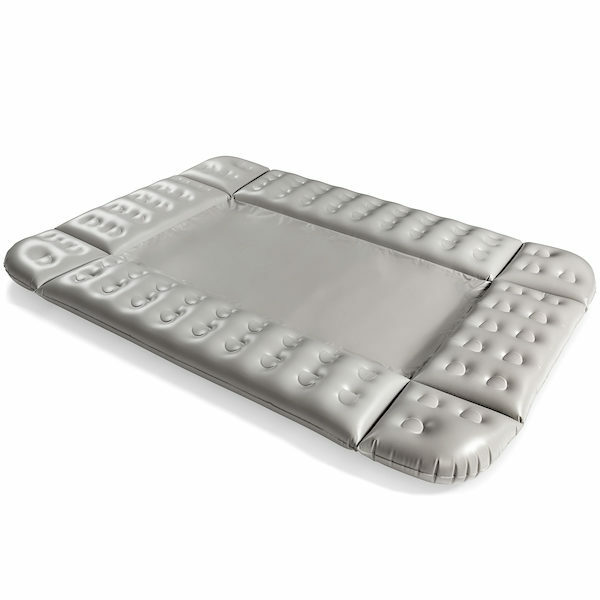 Any sections that you don’t need to inflate can be simply rolled up, or folded underneath. DreamCatcher is easily wiped clean with a damp cloth, and is available in ‘Silver Cloud’, to complement most nursery color schemes.